Home / News / Asia / Danijel Šarić to play for Qatar! Danijel Šarić to play for Qatar! One of the best world’s handball goalkeepers, Danijel Šarić, will be the member of Qatar handball team in the upcoming World Championship in Doha. 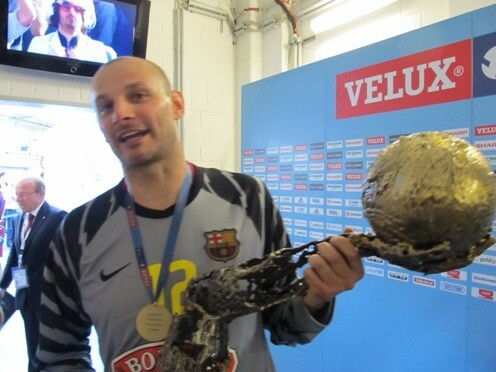 A 37 years old FC Barcelona goalie, made agreement with the Qatar Handball Federation to play for them alongside Ex-Rhein Neckar Lowen goalkeeper, Goran Stojanovic. Only few days ago, another European star Žarko Marković has decided to play for Qatar at WCh 2015. Next Story → Allison Pineau leaves ŽRK Vardar!